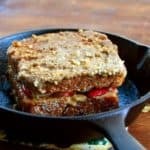 This foolproof Vegan and Gluten Free Sandwich Bread rises a mile high and has a tender, delicious crumb. Also, tips for successful gluten-free bread making. I’ve been experimenting more with gluten-free baking, and today I wanted to share a foolproof recipe for a wheat free and therefore gluten free sandwich bread. Vegan, of course. –Start with an open mind, especially if you’re a seasoned baker, because all of your long-held notions about baking bread will be challenged. Gluten free breads present a fundamental conundrum: gluten is the substance that gives breads structure and helps them rise (it’s why you knead bread dough so much– to develop those gluten strands that will stretch and make your bread grow big and light and airy in the oven). So then how do you get a bread that lacks any gluten at all to rise? Relax, because there is an answer: xanthan gum. This thickener adds viscosity and elasticity to a gluten free bread dough, allowing it to rise in a hot oven, much as a wheat bread would. Xanthan gum can easily be found at stores like Whole Foods or online. — Take time to mix your ingredients thoroughly, even if there is no gluten to develop. You will find lots of websites that say you don’t need to knead your dough, but trust me, mixing it for a decent period of time ensures that you get your dough to just the right consistency.That’s because gluten-free flours tend to be rather thirsty and you want to give them time to absorb all the liquid they can. — Your gluten-free dough will look different: more like muffin batter than the average wheat bread dough. Don’t be tempted to add more flour. The wet dough will help create an airier bread. Also– big bonus!– your gluten free bread needs just one, not two, rises, saving you time. 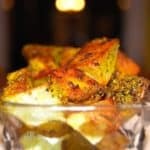 –Your baked gluten free bread will also look different. Because of the wet batter, the finished bread will have a rather shaggy look to it, not unlike a banana bread, cracks and all. But who cares when it looks great sliced and tastes even better. –Your gluten free bread will taste different, because gluten free flours tend to have a more robust, earthier flavor than wheat does. 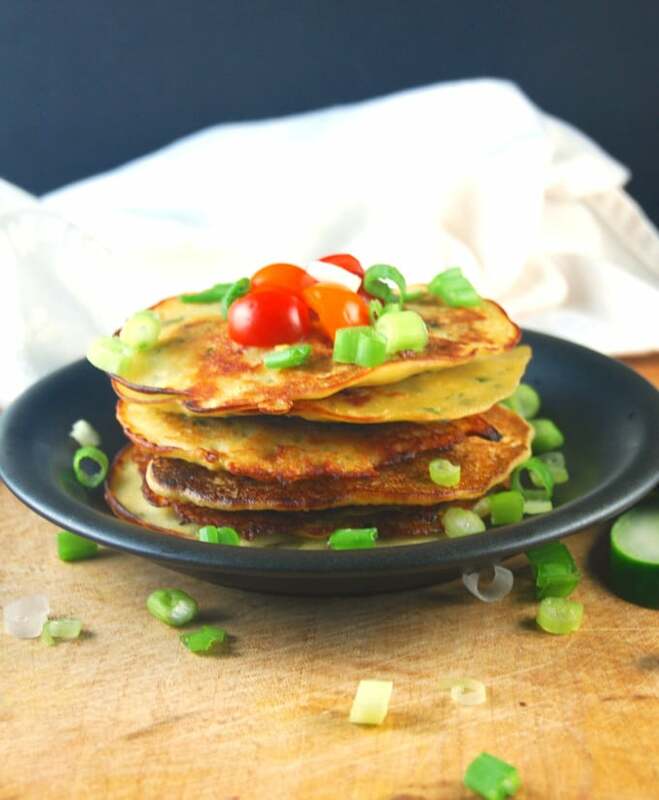 One of the ways to combat this is to use lighter flours like rice flour and oat flour in combination with some of the stronger-tasting ones, like millet or sorghum. So now that you are privy to some secrets of successful gluten free baking, let’s fire up that oven and get started. 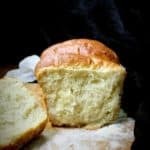 This gluten free sandwich bread uses millet flour, rice flour, and oat flour (be sure to buy one that says gluten free, because some oat flours can be contaminated with gluten while processing) and tastes, I think, as close to a wheat bread as can be. It also toasts really well. A light, airy vegan and gluten free sandwich bread with millet, oat, and rice flours. Add the yeast and maple syrup to the water and let stand until the yeast starts to bloom, about 5-10 minutes. Mix the various flours together with the baking soda, flax meal, egg replacer, and xanthan gum. Whisk everything thoroughly to ensure it's all mixed together. Add the almond milk to the yeast-water mixture along with the flours and salt. Mix using the paddle attachment on a stand mixer or by hand. Drizzle in the oil as you mix. Continue to mix for about 8 minutes or until everything's well-incorporated and you have a fairly smooth-looking, batter-like dough. Oil a standard 9 by 5 inch loaf pan. Pour the dough into the pan and, using a spatula, even out the top as best as you can. Cover with a kitchen towel and let it rise in a warm place for 60-90 minutes or until the dough has domed around the top of the pan. Preheat the oven to 350 degrees Fahrenheit and bake the bread for 55 minutes. Insert a thermometer in the middle at the end of baking-- it should register at least 200 degrees. Remove the loaf from the oven and let it stand on a rack until cool enough to handle, about 20 minutes. Remove from the loaf pan and continue cooling the bread on the rack. I’ve yet to try baking anything gluten-free. It’s inspiring that your bread looks soft and very pliable with those large air pockets. Looks delicious! I always look at Xanthan Gum in shops but never dared to buy it… now you gave me a beautiful reason to buy it… thanks for this delicious bread!! What an impressive effort, it looks amazing! 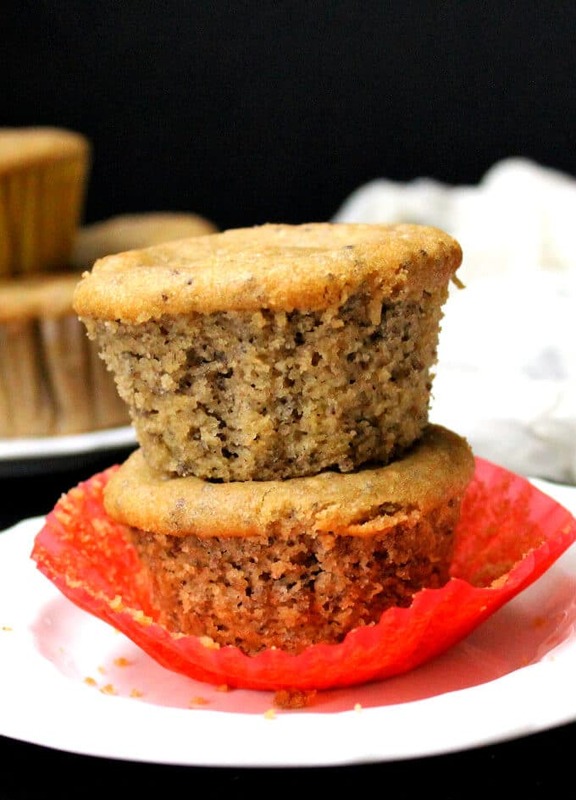 Gluten free baking scares me a little but your post makes it sound relatively easy. When do you add the 2Tbsp oil? Is that just to coat the pan? Thats an incredible loaf, beautiful slice. This looks like a very successful and beautiful loaf. I especially appreciate the relatively small amount of starch in the recipe. I see so many recipes where starch makes up at least 1/3 of the flour mix. I have one question, though. 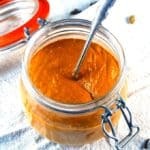 Does the recipe need 2 tablespoons of xanthan gum? That seems like a lot. Hi Andrea, yes, it does need 2 tbsp. You might try cutting it down, but I don’t think it would rise as well. What a gorgeous loaf, Vaishali! I hold one tentatively and it feels rock solid in my hand, that is when I replace it and shake my head and wonder why I should pay $ for a rock! looking at your loaf, I can see that, made in the right way, it can be perfect. I hope one day, I can make a loaf as gorgeous as that! this recipe is new to me..have to try this sometime..bread loaf looks fabulous. 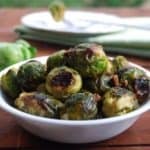 Hello, I really want to try this recipe but we have a flax allergy. What can I replace the flax with? Thanks! I can’t say for sure because I haven’t tried it with a flax substitute, but hemp seeds– ground into a meal– might work. Super amazing awesome bread. I made the recipe and it just came out of the oven. It is delicious! I made a couple of substitutions. Since I did not have millet flour on hand, I used Sorghum flour. I also replaced the xanthan gum with a 1/2 cup mixture of flax meal, chia meal, and psyllium powder. It is a little crumblier than a bread with gum, but so tasty! Chris, your bread sounds delicious. Happy you liked the recipe! Very tasty bread. I have used it both for toast and sandwich bread. I’ve had to be careful on the rising stage as it tends to rise very high. George, thanks for the feedback! Glad you liked it. Do you know if this bread can be made in a bread machine? Thanks! Debbie, I’ve never made bread in a bread machine, so I don’t know. I would guess it would be doable. In this recipe it says you can use corn starch instead of the egg replacement. How much corn starch should be used and is it mixed with any additional liquid? The bread looks wonderful and I can’t wait to give it a try! Helen, use the same amount, and use it exactly as you would the egg replacer. Hi! Just made this. I substituted sorghum flour for the millet and I didn’t have any oat flour so I just used rice flour. 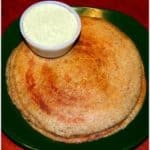 My batter wasn’t wet at all and I’m wondering if it was my substitutions and if I needed to add more water or milk. I think that was the reason it didn’t rise much but did “oven spring” (is that the term?). I love the taste and the texture, even though it is very dense. Any tips? Hi Tanya, you may have baked in a drier climate than mine. Always feel free to add a little more water– the dough should be very sticky and a cross between a regular bread dough and a batter. This looks absolutely amazing! Did you use brown rice flour or white rice flour? If it’s the latter, do you think brown rice flour would be too heavy to sub in? Thanks so much! Hi Sunflower, brown rice flour, always. I looks tasty! will deff. try it out. Hi there. 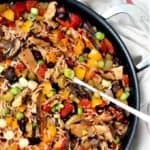 I just gave this recipe a try as it looked amazing and got great reviews. Everything went beautifully until I sliced it and it wasn’t cooked on the inside, even though I left it in as long as you said, even a bit longer. I followed recipe exactly, or so I thought. Would love to try it again if I could find out what I did wrong. Thanks for any advice in advance! Hi Michelle, ovens can vary at the same temperature– a 350 reading on mine could be warmer than the same reading on yours. Also weather can sometimes make a difference to the amount of moisture in the bread which, in turn, would change baking times. For instance, if you had humid weather in your part of the world on the day you baked the bread, the dough would be wetter. I would advise adding about 10 minutes to baking time and check with a toothpick before removing the bread from an oven. If the toothpick inserted in the center comes out dry you should be good to go. Oh my, that was so delicious!! I ate half of it immediately 🙂 Thanks so much!!!! Cheryl, glad you liked it! Thanks for letting me know, and happy holidays. 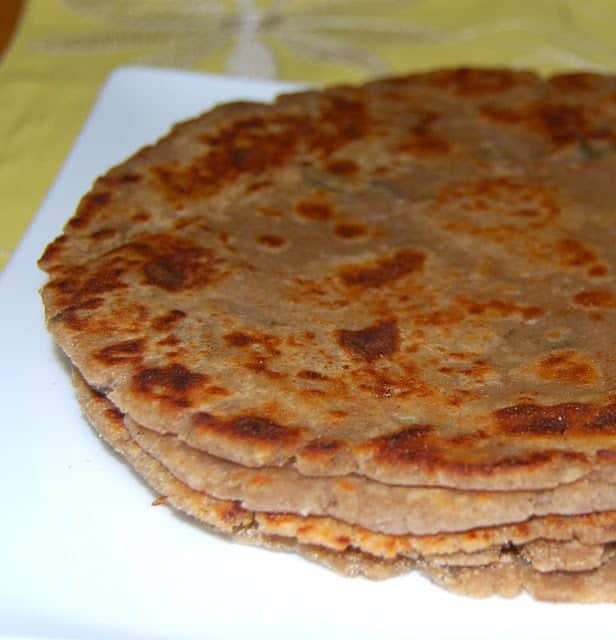 Hello Vaishali, I tried your recipe with a few changes becauce i did not have millet flour and am not supposed to use oat flour. So I used instead of millet quinoa flour and instead of oat flour shorgum flour. I also sub the maple syrup with unpausterized honey. I omitted the egg replacer also. When I added the flours to the liquids I realized the mixture was way too dry. Maybe is because it is winter here in Toronto? Well, anyways, I decided to add more rice milk (I used rice milk instead of almond milk), I had to add about one and a half cups of milk until it recembled a lumpy batter. Hi Maria, thanks for all the recommendations on the substitutions you made. 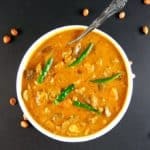 I love it when people modify recipes to cook with what’s in their pantry because that’s what cooking is all about– making adjustments to your own taste and convenience. 🙂 I agree that the lack of moisture could be due to the weather, and glad you found a way around it. Thanks for this recipe. I have made it today and made little changes and I am very happy with the result. I think I can even improve on what I have done. Its the best I have managed to date. I changed Millet flour for Amaranth. I am not sure I like the taste of Millet flour. I also used brown rice flour instead of rice flour which I assume is white in your recipe, and I exchanged the Tapioca starch for Arrowroot, simply because I didn’t have Tapicoa starch. I also used 1 Tbsp of sugar (not happy but I didn’t want to use maple in my test run, its expensive over here) and I didn’t have any sugar so my neighbour gave me a bit of her white, not ideal but at this stage I was happy to go with it. Next time I will use brown sugar, and then start thinking about Maple. The other change I made was I added some Pea Protein. Result, like I said best I’ve manage to date. I just put it on a baking tray, lightly sprayed it with olive oil and baked. It cooked very well. It rose well, sliced well, its sift in the middle but not gooey, it has a good crust, not too hard. i don’t think it has as many ‘holes’ air bubbles as your picture looks like but it has some, so its not too stodgy, but I would like more, so not sure how to get them! Mistake I did make was I sliced it only to find I sliced it too thick, its filling. I don’t know what it will be like next day, but its good fresh after making it. See tomorrow morning! 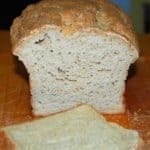 i have made this recipe many times, it is the best gf vegan bread I have found. But I have never been able to get it to rise that high, it never domes out of the pan. Any tips? 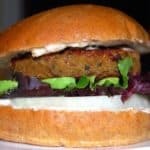 Will this recipe work for making hamburger buns? I can’t wait to try this recipe. I’ve made other gluten free breads but the one I like best still comes out sticky in the middle and I’m hoping yours yours turns out like everyone says. ? Or do you have a seperate bun recipe? Did you brush anything onto the loaf before baking? i’ve made this recipe many times and must say that it is amazing! the first time…you are absolutely right: you need to be patient when attempting GF baking; it is not an exact science! to replace the egg replacer. better toasted the next days. I made this recently and it turned out amazing. I just used regular gluten free flour but did the rest of the recipe the same. It rose nice and high and the texture was very similar to ‘regular’ white bread. What can I use in place of the Xantham Gum that is more natural. Pectin? Chia? Flax? How much do you think of these I could use in place of Xantham?